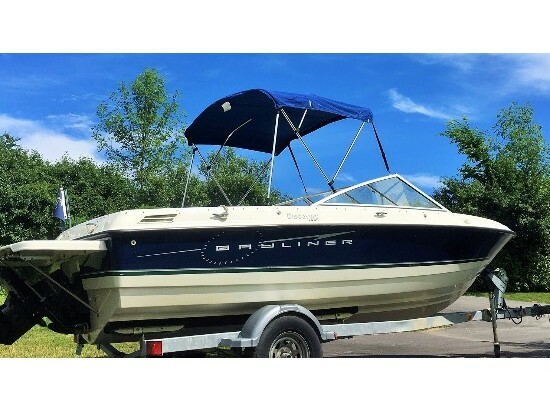 Seller describes the boat to be in Very Good condition and ready to use! (after re-commissioning for the season) The 2011 trailer has barely been used and is really just for storage in the off-season. The boat is currently unavailable for new pictures... trying to get additional pictures previously taken by the seller. Stock #141519 265 Ciera powered by a 260HP MercCruiser 5.0L, Freshwater only! 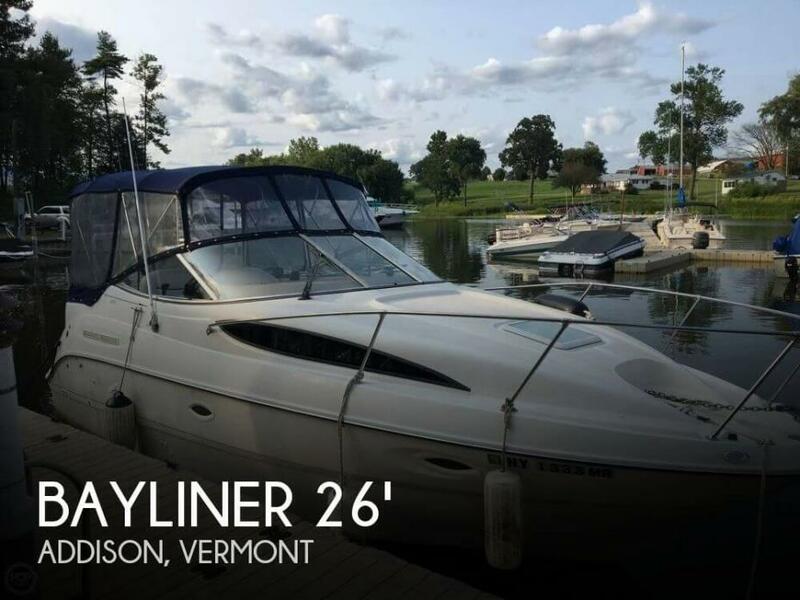 If you are in the market for an express cruiser, look no further than this 2003 Bayliner 2665 Cierra Sunbridge, priced right at $27,800 (offers encouraged). 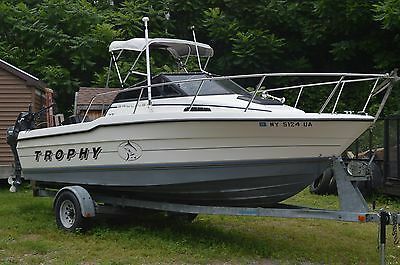 This boat is located in Addison, Vermont and is in good condition. She is also equipped with a Mercruiser engine. 2006 Bayliner 205 2006 Bayliner 206 2006 Mercruiser 5.0L V8 220hp 2016 New Bayliner trailer options: bow cover cockpit cover stereo extended swim platform sport seatingbimini top DSRP: $20,420.00 Sale price:$18,500 Call Kim for additional details - boat is fast 50 plus MPH- planes quickly. 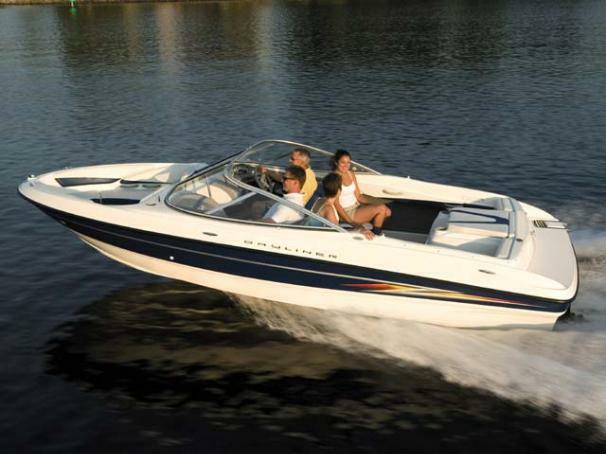 802 265 3690 With more usable interior space and amenities for accomodating families in more comfort plus extended range capabilities, the Bayliner 205 is a versatile runabout with multiple product configurations: 2 power choices, standard interior and seating, sport seating, and/or full fiberglass liner. 2016 Bayliner 175 Bowrider SOLID BLACK HULL MERCRUISER 3.0L KARAVAN TRAILER- GALVANIZED STEREO SWIM PLATFORM EXTENSION BIMINI TOP WITH BOOT STAINLESS STEEL UPGRADE BOW AND COCKPIT COVER CALL FOR SALE PRICE: 802 265 3690 This is the boat that has outsold every other sterndrive bowrider…and with good reason. Not only is it the most affordable in its class, but it adds large, accessible storage, awesome performance and timeless styling to the bargain. 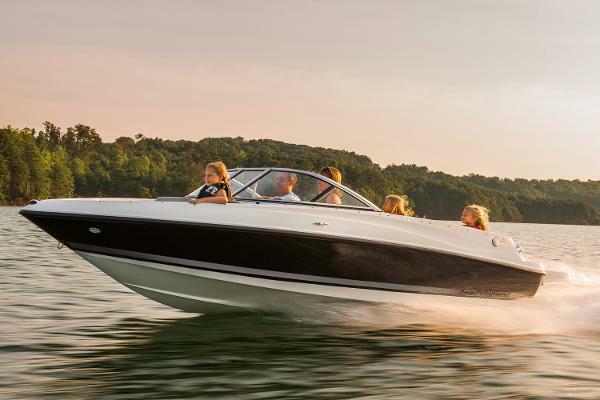 Plus, its spacious floorpan design increases cockpit space so you have more room to enjoy your day on the water. Key Features: • Optional Flight Series Package includes wakeboard tower, integrated Bimini top, swim platform extension and stainless steel accents throughout the boat. • Port back-to-back seating folds into sun lounge. • Redesigned helm includes two cup holders and no-glare gauges. • New motor box doubles as a table.